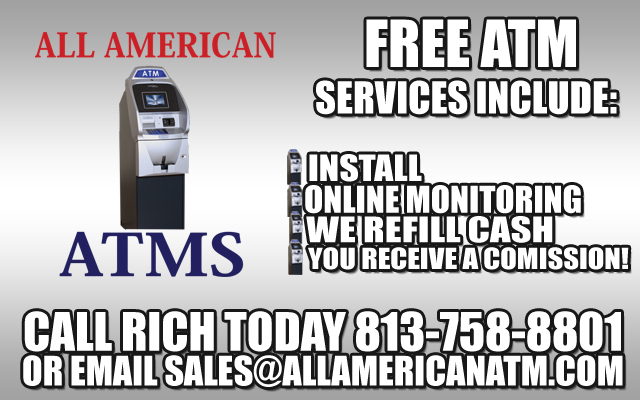 All American ATMs strives to bring you the best options to help you make extra income from an ATM machine placed in your establishment! New Machines are for lease starting at $69 a Month with credit qualification. 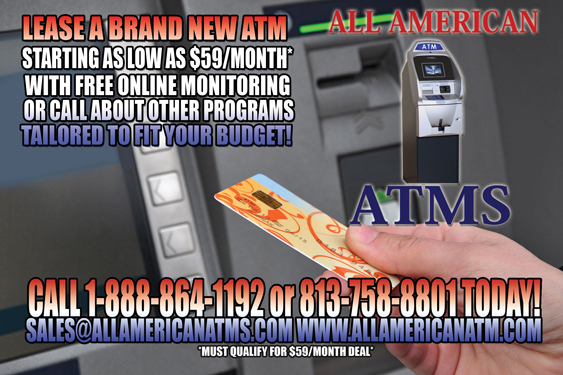 • FREE Online ATM security monitoring. 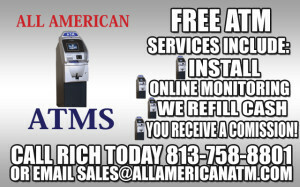 • ATM Service or repair if needed. Looking for new machines to start a route of your own? 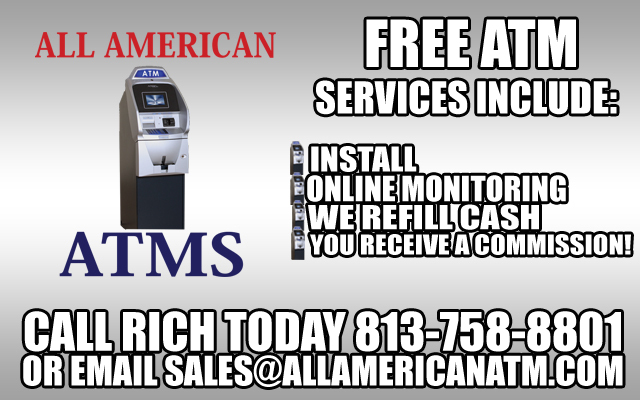 All American ATMs is a seller of new ATM machines that are EMV ready and Used/Refurbished Machines are also for Sale. Our used machines are of the highest quality refurbished to like-new status. 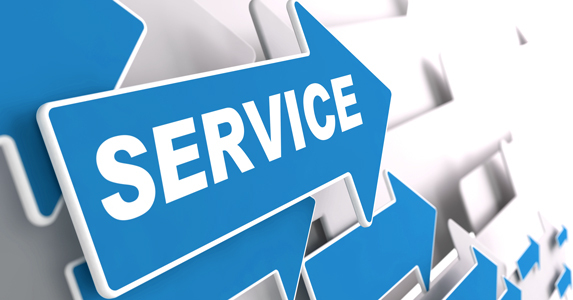 Best of all regardless of the service you choose, you will receive a commission check!